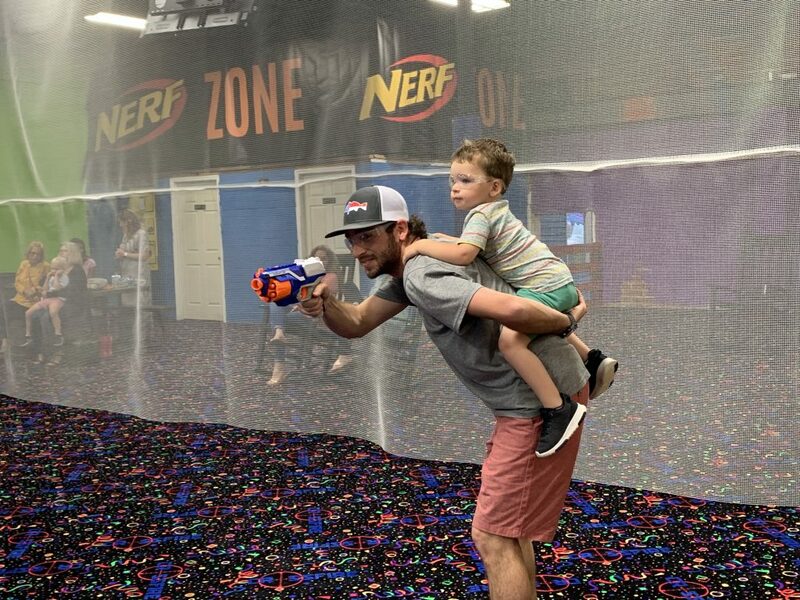 Nerf Wars at Crossfire Paintball is a competitive team sport for the whole family. 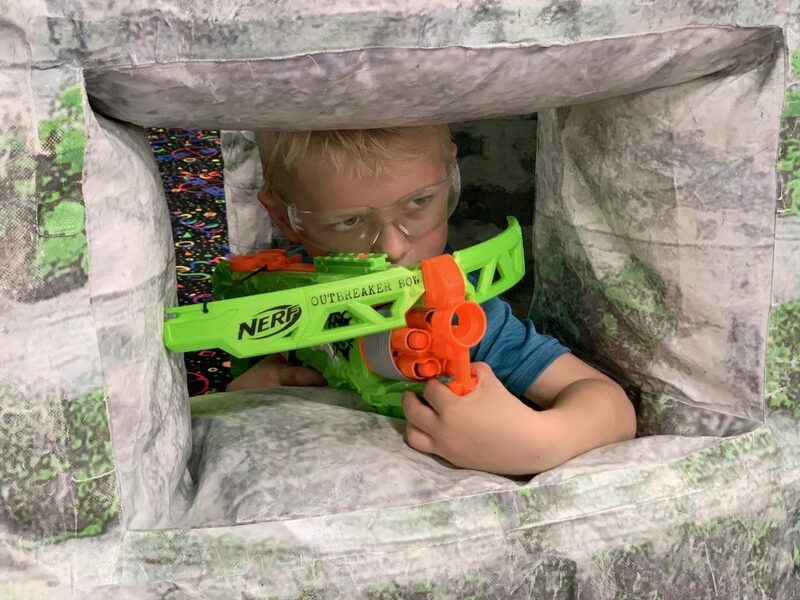 Nerf Wars is tailored to be fun for all age groups 5 and older. 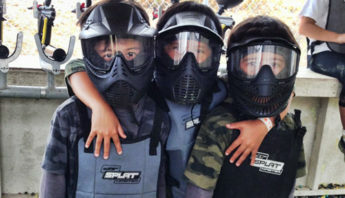 We specialize in birthday parties, team-building and employee parties. 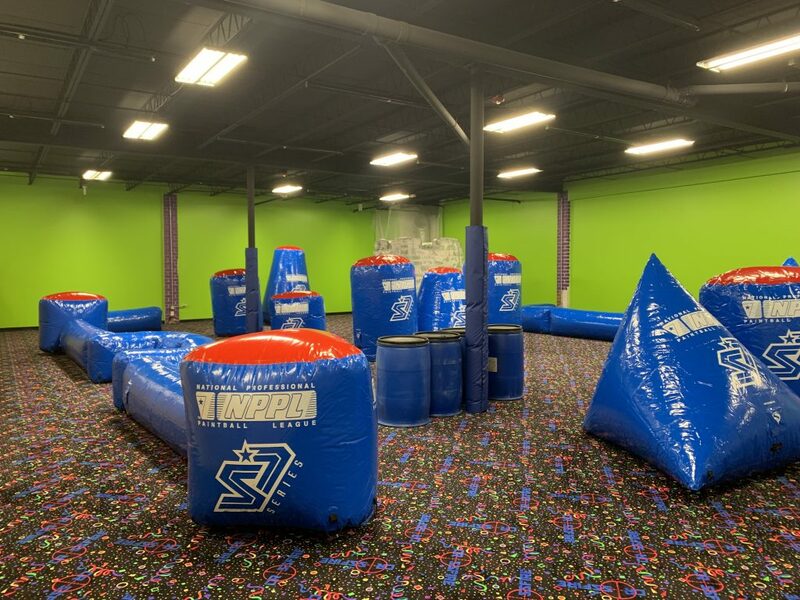 Bring in your team for a party or book a fundraiser for your organization. **Please note: Seating is not guaranteed for spectators. The number of party tables guaranteed are listed in each package. 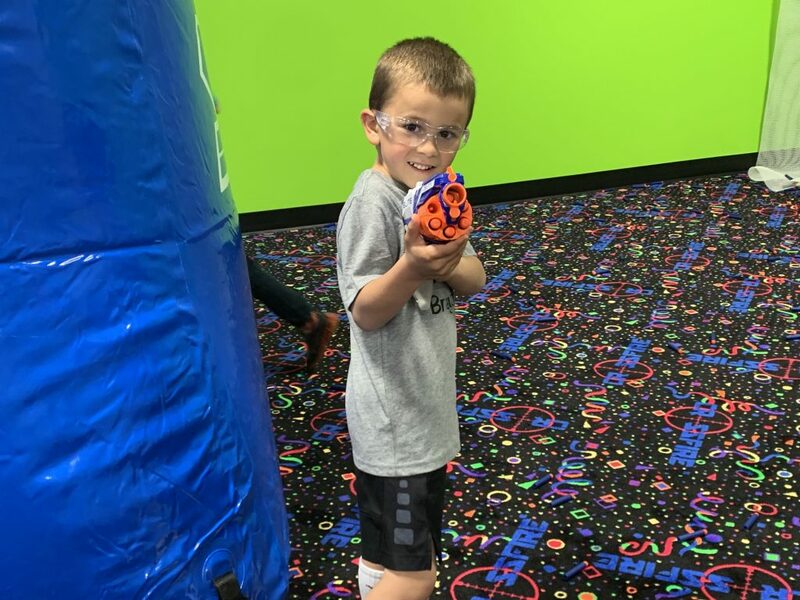 Nerf is an activity that everyone can join in the fun! 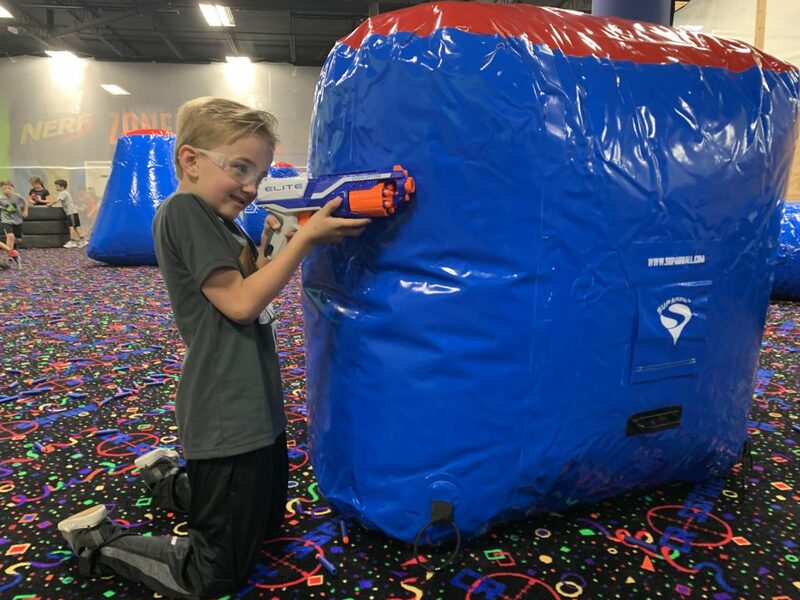 We found that with Nerf parties, parents and siblings love to jump in the action! If you’re expecting between 8-15 kids, expect around 8-15 additional parents wishing they could play! Our “Ultimate Package” is perfect for you! Please note: Party tables are included with every package. You may bring in any food or non alcoholic drinks that you would like. 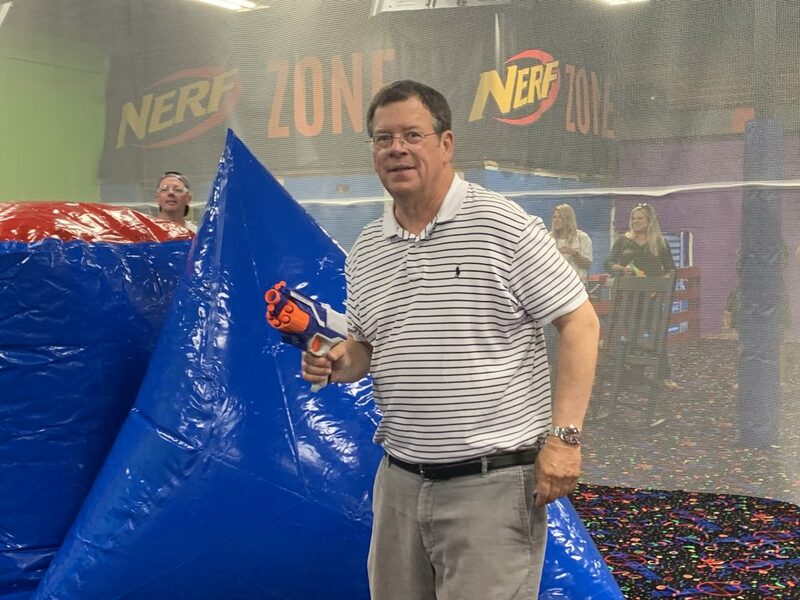 The private options means you will have the entire Nerf field for your group for the hour of play time. Play time can not be extended into the next hour session. 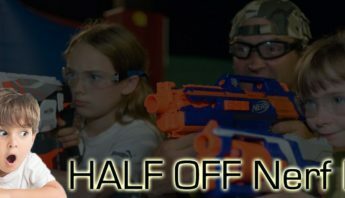 Crossfire Paintball now offers Nerf for younger ages! 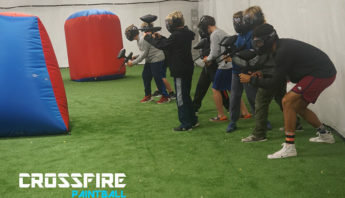 Want to get the rush of close quarters combat but worried paintball hurts too bad? It’s okay – try a Nerf Party first! 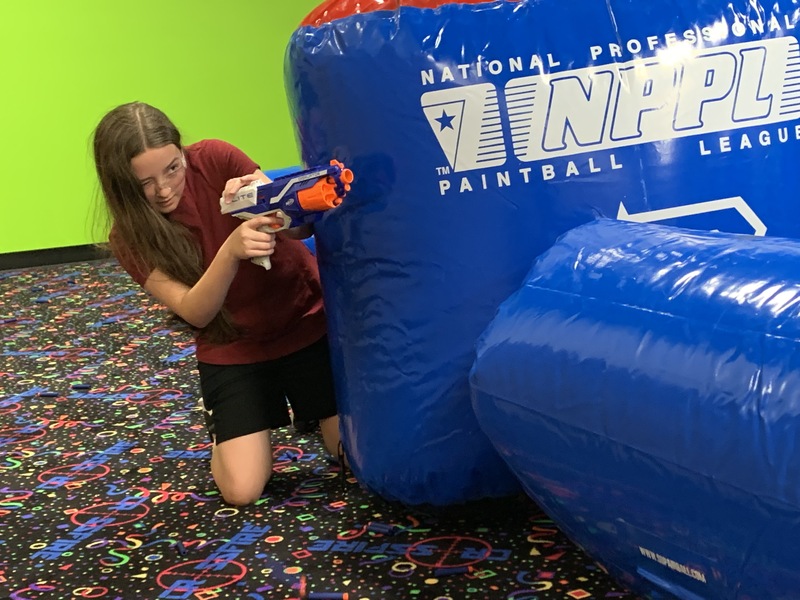 At our Wilmington location we offer paintball along side of nerf. 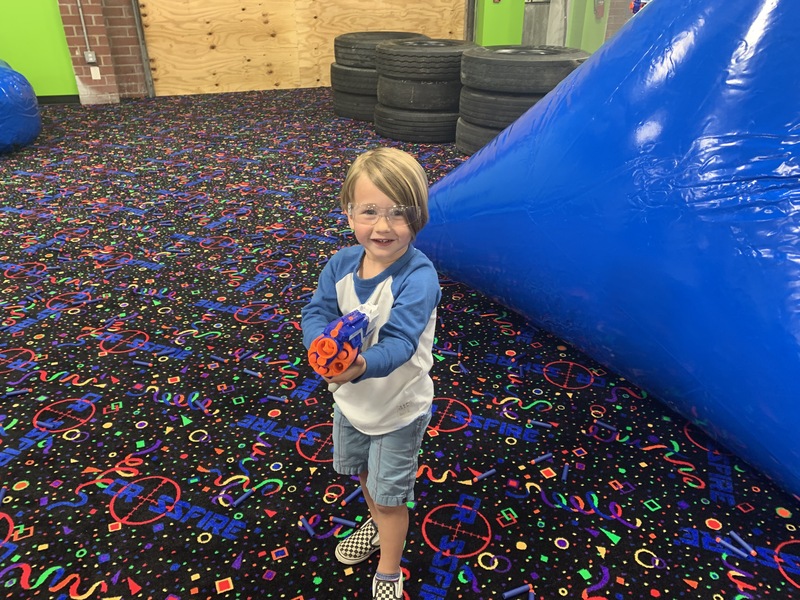 This means you can bring your older kids to play paintball while the younger ones play nerf! 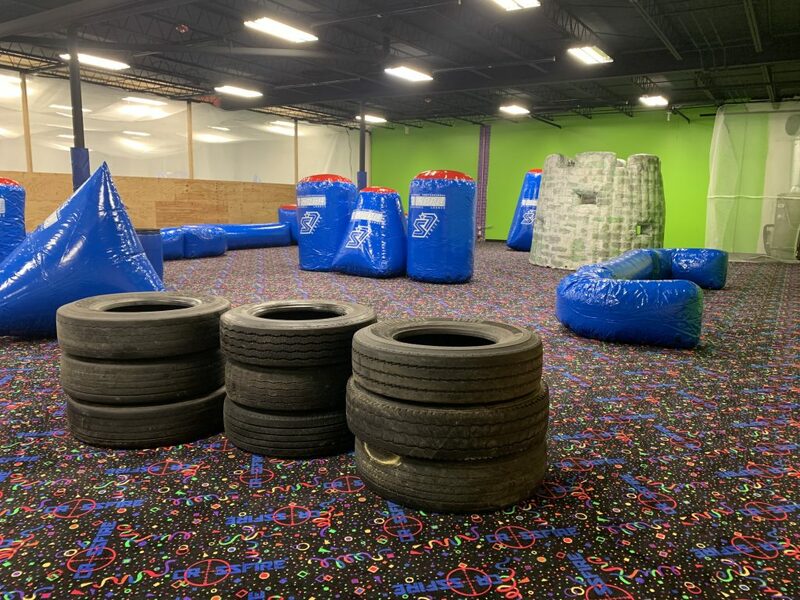 Our new Nerf field features tires, pallets, barrels, cars, and a large Castle that players can go inside and defend during different games modes that we offer! Save Time! Sign a waiver! 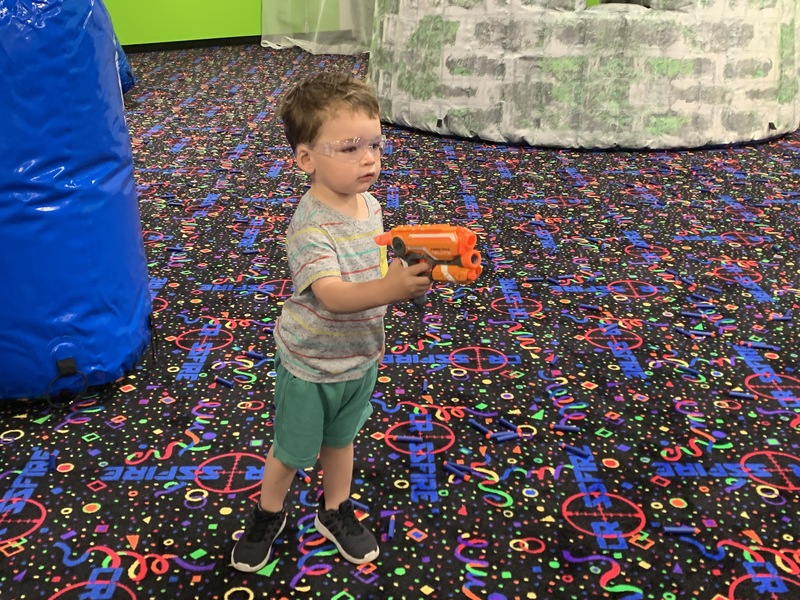 Once you book a party at Crossfire there is only one more thing you have to do! 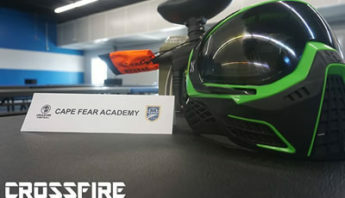 Every player and spectator will have to sign a waiver before they play or enter the spectator area. Waivers can be found at the top of our page WilmingtonPaintball.com. There is no need to print anything or bring anything with you to our facility. Waivers are sent to us electronically! Players can wear shorts and a t-shirt! 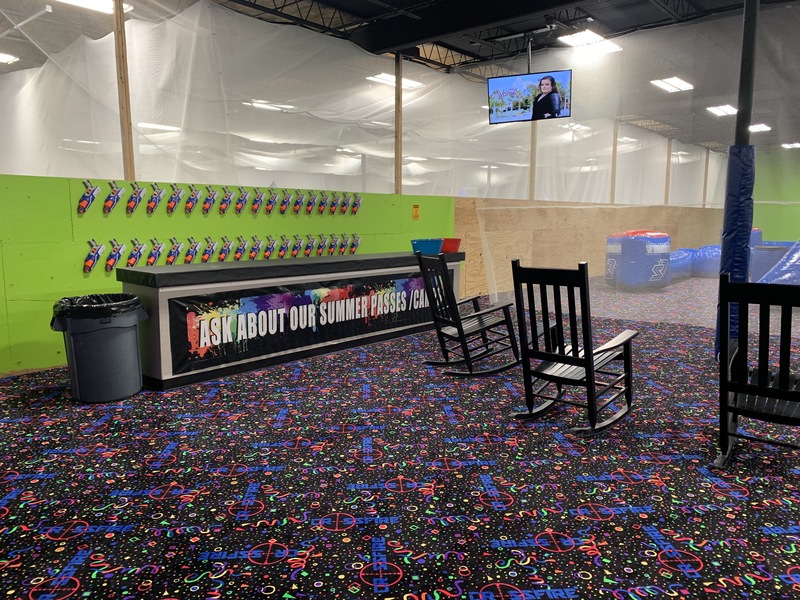 Our facility is 100% climate controlled so players don’t have to worry about being too hot or cold. Be sure to wear shoes! Protective glasses are included the admission! Yes! 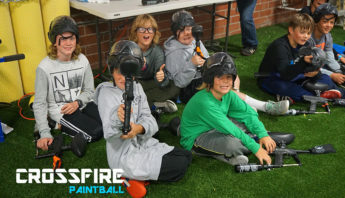 A Crossfire Paintball crew member will always be in the party area as well as the Nerf field. Safety is our number one priority. Yes! 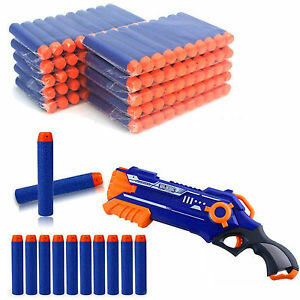 You can bring any Nerf gun from home as long as it shoots standard Nerf darts! Please leave your ammo (darts) at home. 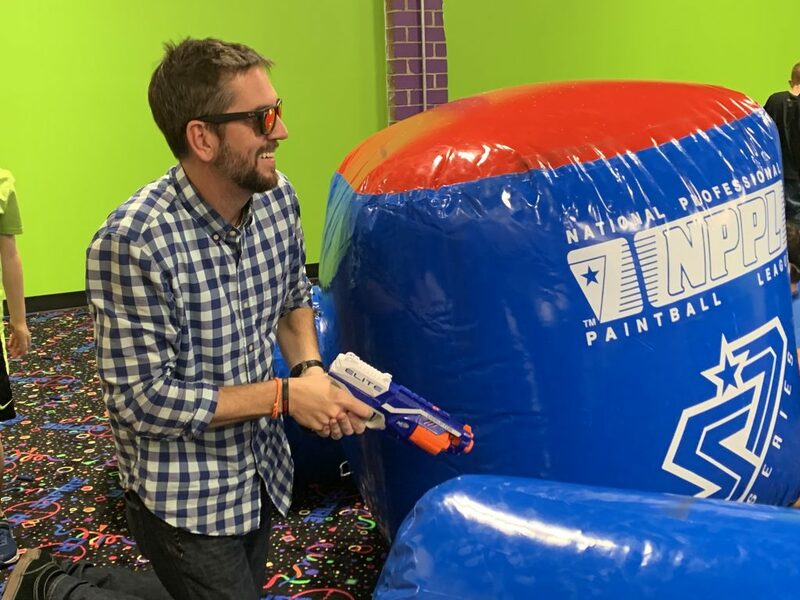 We supply unlimited nerf darts for your party. We wouldn’t want your Nerf darts to get mixed in with ours!